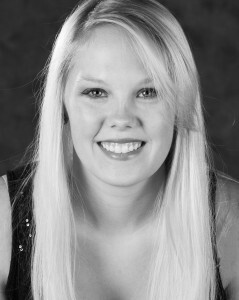 Ashley Markgraf was born in Boerne, Texas and started her dance training at the age of 3 at Lee’s Dancers in Boerne. She continued to take dance through middle school, and in high school, she was on the dance team for all four years and served as 1st Lieutenant her senior year. She then attended Abilene Christian University where she graduated in 2013 with a degree in Musical Theatre. She was recently seen as Peggy Sawyer in 42nd Street at ACU. In college, she attended the summer intensive at the CAP21 conservatory in New York City in 2011 where she trained with active choreographers and actors. In 2013, she attended the Tepper Semester through Syracuse University where she trained at Broadway Dance Center. She is very excited to start teaching what she loves to do and spread the love for dance!